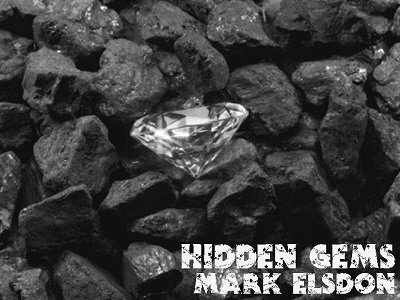 For several years, the last item in my occasional Newsletters was a 'Hidden Gem' - a killer, overlooked trick that's already published somewhere; a book, magazine, eBook, blog or very occasionally a commercial release. Never from a DVD or video download. These are tricks that define the very concept of 'hidden in print'. In each entry I list the trick, where you can find it, why I love it and why you should look it up. I always describe the effect, occasionally the presentation, but never the method. Most are in books that you already own (or should! ), some are in magazines that you can easily get access to and the odd one or two entries will send you on a major SHM/MagicWeek/eBay hunt. Happy days! This new eBook collects 100 of these Hidden Gems - the 33 from my old Newsletters and 67 brand new entries that I've been collating for several years but never published. There is a mixture of card, coin and close-up magic, as well as plenty of mentalism, stand-up and cabaret material. If you are on the look-out for great tricks that no one else is doing (and who isn't?!) then you will find a ton of them in this eBook. Hidden Gem #17: 'Shock Treatment' by Jackie McClements, Shock Treatment (p19). Jackie's brilliant vanishing deck trick is a total an utter fooler. I was first shown it by Jerry Sadowitz, back in his heyday working at International Magic in London. When he performed it, I was so shocked I nearly fell over. I'm not joking! It is guaranteed to not only devastate laymen, but also give heart palpitations to any magician who doesn't know it. It has remained in my repertoire from that day to this. Hidden Gem #43: 'Four Fisted' by Gary Kurtz, Unexplainable Acts (p35). This was a staple of my close-up and walkaround repertoire for well over a decade and yet I've never seen a single other magician perform it. It is a beautiful, original coin effect (and plot) with visual and tactile coin changes, and surprisingly for a coin trick (although unsurprisingly for Kurtz) an engaging presentation. In effect, copper coins turn into silver coins and then into gold, in both your hands and the spectator's. I may well dust this off to fry all my friends with at the next Blackpool convention. Pro Tip - for the gold coins use Danish 2 Kroner coins. Polish them up and they are perfect. Hidden Gem #87: 'Eleven Bill Routine' by Trevor Lewis, Routines Matter (p66). Caveney, Pitt, Bargatze and others all have handlings of Kaps' classic routine, but Trevor's stands head and shoulders above them all. Immaculate handling, superior spectator management and some truly great lines all add up to make this one of the best packs-small-plays-big routines ever to see print. A must for any cabaret act. Even Kaps ended up doing it this way.